Kristen Boydstun is a successful American illustrator who credits Skillshare teacher Tom Froese with having “quite literally changed my life.” Once a physics and then a software professional, she says she had “never considered illustration as a career” before taking Tom’s classes. 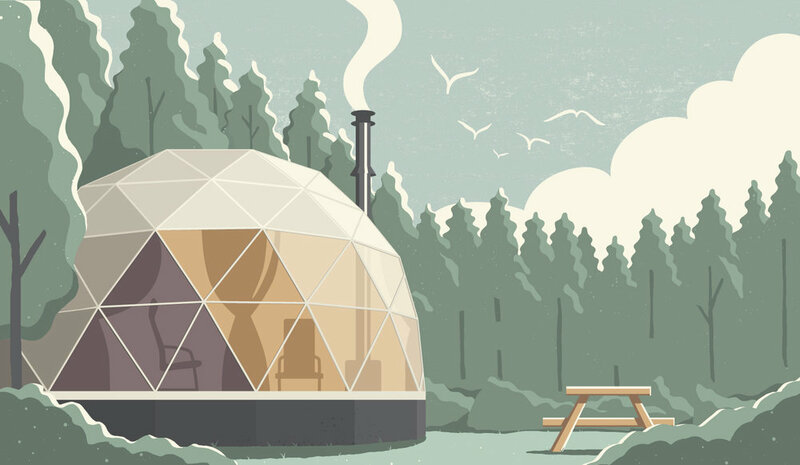 Now she’s a full-time illustrator, living in Germany and creating images for advertising and editorial clients like Monocle Magazine, Air Canada enRoute, Cottage Life, Quartz, Bloomberg Philanthropies and Toyota Canada, among others. You can learn more about her on her Skillshare member profile, or by visiting her website (complete with online shop!) at http://kristenboydstun.com. Hi Kristen! Thanks for chatting with us today. Let’s start with a little about yourself. I understand that Tom Froese’s Skillshare class helped you find your current career. What inspired you to use Skillshare and to sign up for Tom’s classes? In my mid 20s I decided to change my career. After years of feeling like I was out of place in physics and then software, I wanted to try something completely different. I had always been generally interested in art and design, but I'd never seriously considered a creative job. I didn't even really know what the options were. I started by taking a course on graphic design, and I fell in love with shape and color. It felt like I was going in the right direction, but I wasn't sure that I wanted to be a designer. So I went on Skillshare to explore the creative classes and get a better idea of what options were out there. I tried out classes in photography, hand lettering, design and illustration, which is how I eventually found Tom Froese's Inky Illustrations:Combining Analog and Digital Media class. I liked Tom's approach to illustration as something to enjoy and have fun with, and I had this immediate feeling that I'd finally found my thing. What was it about illustration as an art form that inspired you? When I was younger I liked drawing, but I would get caught up in making every detail perfect. After I took Tom's class I started to realize that illustration is a broad field, with many approaches and styles. Illustrations don't have to be photorealistic. This sounds so simple and obvious now, but this change in perspective gave me the freedom to enjoy drawing again. Around this same time my husband and I moved from Los Angeles to Europe. Visually, everything was different from what I had known before. I started paying more attention to the world around me and drawing as a way to record new places. I posted these illustrations to social media, [and that] eventually led to commissioned work. What was it about Tom's class that made you consider illustration a viable career? If I hadn't found Tom's class on Skillshare, I don't know that I'd be an illustrator today. I hadn't heard of illustration before, and I loved his class so much that afterwards I kept drawing in a playful way, focusing on having fun and enjoying the process. Through all these experiments I started to find my voice as an artist and thinking about illustrating professionally. What was it like when you first got started professionally? And what kinds of illustrations have you created for clients since then? As I posted all of the work I was making for myself to social media, I eventually started getting actual commissions. After my first commission a year ago, others soon followed and suddenly I found myself working as an illustrator. A lot of the work I'd done for clients has been travel-related, since most of my early personal work was inspired by travel. 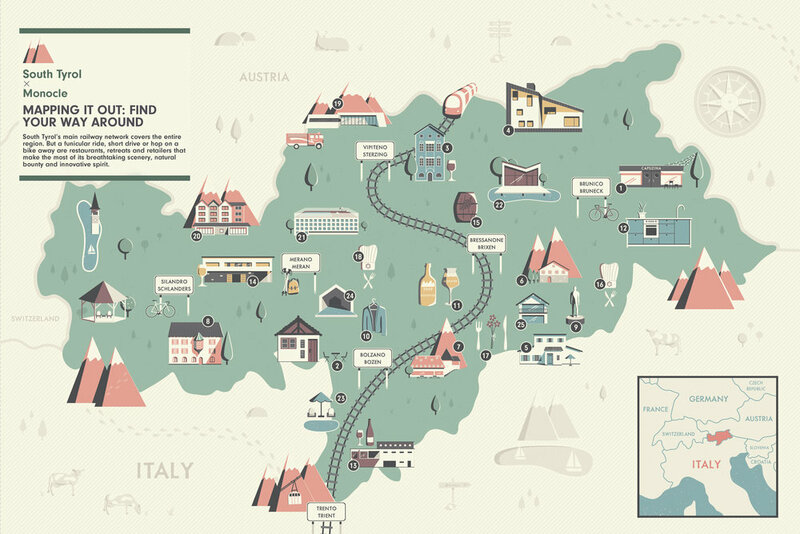 I've illustrated a few travel posters, maps, and features in magazines. I've found that the commissions I get are a reflection of the type of work I'm posting on social media. Since spring arrived I've been going through a phase where I'm always drawing birds and plants, and I was thrilled to be commissioned recently to illustrate a magazine feature full of wildlife and plant species. Let’s talk about next steps! You mentioned you are working on hand-pulled screen prints. What makes you excited about this next phase? Lately I'm very excited about screen printing my illustrations. I usually create work digitally, [but] I like screen printing because it's such a physical process. 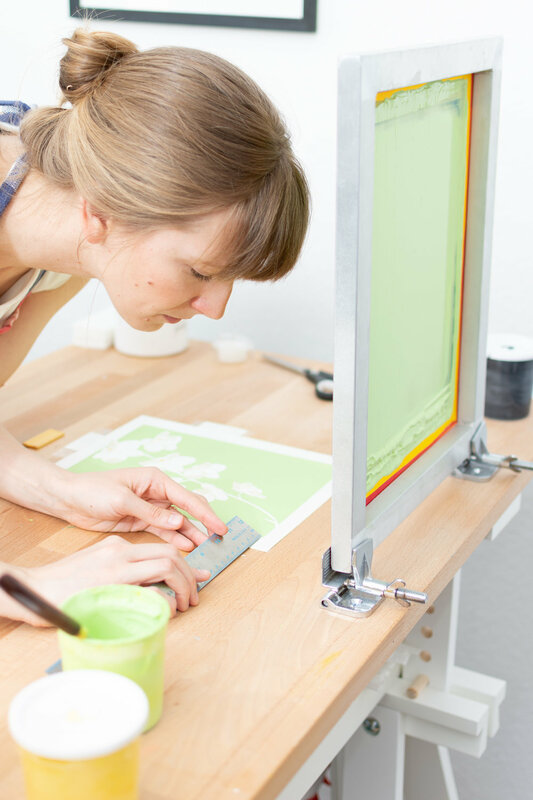 I mix each color by hand, and use a series of screens as stencils to hand-print each layer. I love mixing ink, choosing paper, and the little imperfections that happen. There's something satisfying [about] working all day and actually making something real. I'm working on finding a balance between commissioned illustrations and art I make for myself. It's important to me that I make time to play and create whatever I want, because [that] is what fuels my commissioned work. Each side inspires the other, and I feel out of balance if one takes over for too long.